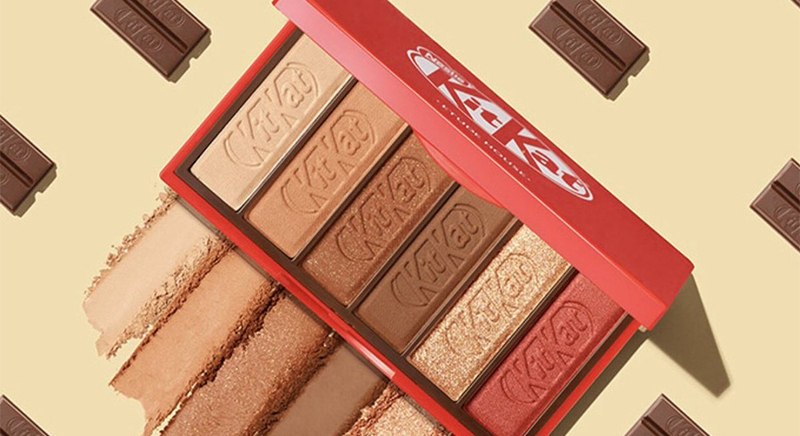 Etude House has just dropped two eyeshadow palettes in collaboration with KitKat and beauty enthusiasts around the world are going crazy for it. We think this must be the cutest collection we’ve seen in a long time! Called the Play Color Eyes KitKat, these palettes even come in makeup bags with a KitKat logo and the actual chocolate in them. There are two six-shade palettes in this collaboration. 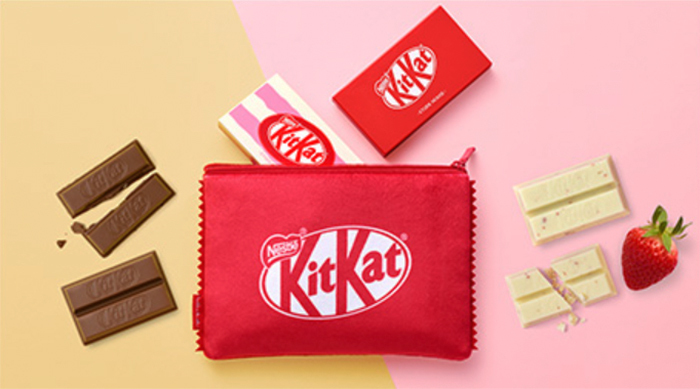 Both are in cases that reminds us of KitKat wrappers. The one in red case is called Original, and the other one in a pink case is called Strawberry Tiramisu. The former contains wearable shades like matte beige, matte tan, medium brown with gold shimmer, matte chocolate brown, shimmering gold, and shimmering red. The latter, on the other hand, has shades like matte cream, shimmery peach, shimmery pink, matte brown, shimmering brown, and matte golden brown. 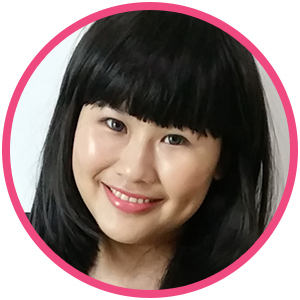 Update: We have checked with Etude House Singapore. Unfortunately, this collection will only be available in Korea and would not be brought to Singapore.